This is the first bread recipe that I ever made. 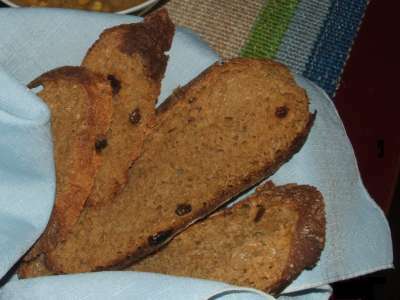 It is from the fabulous restaurant "Clark's by the Bay" (now sadly closed) near Kingston, Ontario and is the bread that caused my bread making craze that has now lasted for more than 20 years. I hope you all like this bread as much as we do! 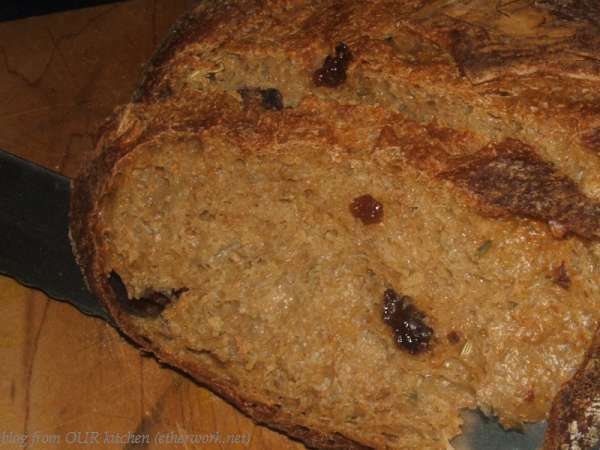 sure this isn't Whole Wheat Raisin Bread that has some rye and fennel in it too ? :-) The recipe sounds delicious. I'm not a Bread Baking Babe but I am a Bread Baking Brownman - does that count? When I find myself drifting to rye breads I know that Fall is upon us at long last. 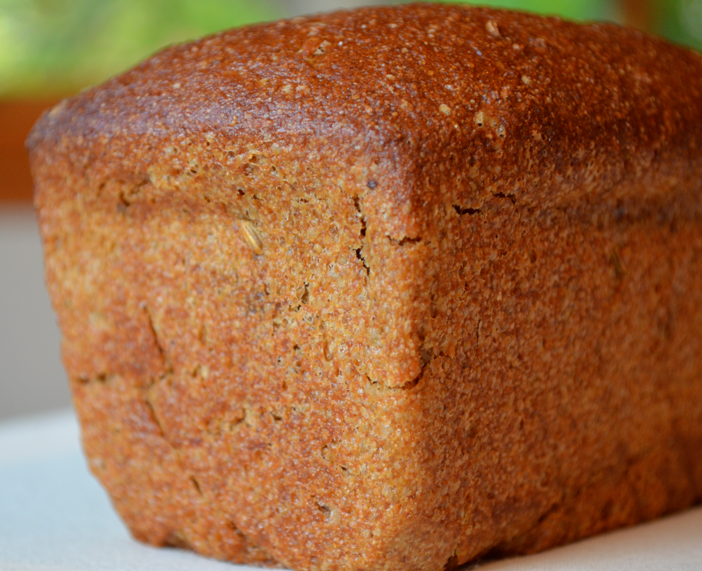 Your recipe snagged me and I have a couple of rye lovers that I bake for so your recipe is now on my 'to bake' list. I am intrigued by the ginger in it. Not a spice I would normally think of adding to a bread but it sounds good with the other ingredients so a fun experiment awaits me. P.S. If you are a raisin rye bread lover - Laurel Robertson has a wonderful recipe for a loaf in her book, The Laurel Kitchen's Bread Book'. I'm not sure that the ginger is all that noticeable but I wouldn't dare to leave it out. There is something amazing about this bread. Do let me know how it turns out when you bake it, Janet. It has been ages since I looked at Laurel's Kitchen Bread Book; I love her 100% whole wheat loaf but haven't tried any of the other recipes. Thanks for the tip. Today I baked your bread but....with some changes.....something I seem to be in the habit of doing.. I convert most all recipes to sour dough so that is what I did with yours. All grains used were freshly ground whole grains. It was leavened with a rye sour built yesterday and was then added to a soaker I made with some the remaining ingredients. The soaker was mixed last night and left out overnight in a cool spot in my basement. This morning all the ingredients were combined. I added 1.5% IY and the raisins I used were ones recently drained off of from my current bottle of raisin yeast water. I baked it in a small loaf pan because I wanted a taller loaf for the people who will be getting these. This was a great feeling dough and the aroma while it baked was heavenly. The crust came out a beautiful golden brown color. No crumb shot as the loaves are going to friends. I will report back on their reaction to the flavor when they let me know their opinions. Thanks for taking the time to post this recipe. I always love finding a new rye combo to try out. One response came back today for a friend who loves rye breads and who has had many I have baked in the past. He said this was the BEST so far!!! In fact he said he had a slice mid-morning....something he never does :-) He loved the flavor and the texture. Haven't heard back from the other friend yet but I expect a similar response. This is one that will definitely be baked again. I keep forgetting to come in here, hence my late response. Janet, this is great! I'm so pleased that you made that bread AND that it turned out so well. It really is great bread, isn't it? I have several cookbooks from the 50-s and 60's where every bread recipe has a little ginger in it. These were self-published (as in hand typed on a typewriter) and probably by ladies that were locally known for their bread baking.The author's believed it suppported yeast growth. Interesting. The fennel rye looks to be a wonderful recipe-all ingredients I love. I might add that to my fall baking,also but add a tablespoon of oil for loaf longevity and use some preferment or retardation in the process.Hmmm....maybe even convert it to sourdough. It never occurred to me that the ginger was there for anything but flavour. How cool that it might help with the rise. I hope you do make the bread. It really is stellar.